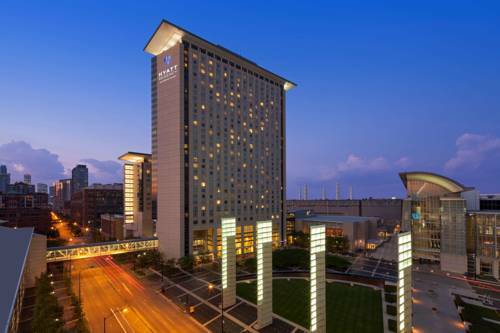 The new enhancements to Hyatt Regency McCormick Place have touched all aspects of our guests experience. The final product offers a welcoming lobby, engaging check-in pods, renovated and redesigned meeting spaces, expanded outlet seating, and 1,258 brand new guest rooms. Our new 460-guestroom tower includes 12 studio style kings and two premium suites designed with a modern yet residential style. 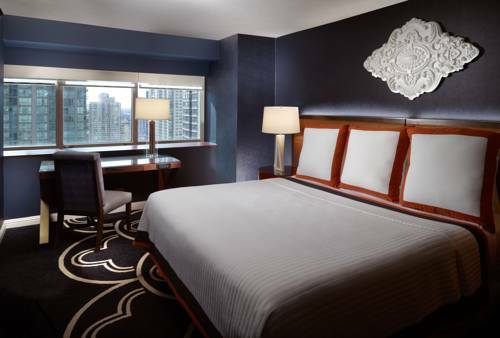 Newly redesigned guest rooms with spa-like bathrooms at the gateway to the Magnificent Mile. Historical architecture and ambiance combined with latest technology and stylish design innovations. All guest rooms have been completely redesigned in soothing neutral colors accented with a punch of cranberry. The Sealy pillow top bedding with 400-count Frette linens, down comforters and plush pillows offer the ultimate in comfort for a restful night's sleep. Stylish new rooms on the Magnificent Mile. Historical architecture with the latest technology and design innovations. Welcome to the BEST WESTERN PLUS Hawthorne Terrace Hotel, an intimate and charming hotel nestled in the bustling Lakeview neighborhood of Chicago. We are just steps from the vibrant nightlife, theatre, sidewalk cafes, upscale dining, lakefront biking and jogging. All of this and within minutes from celebrated Michigan Avenue by the use of scenic Lake Shore Drive. Combining the personal attention of a small hotel with the confidence you'll feel staying with a name you trust, each of the 83 tastefully-appointed rooms and junior suites include a complimentary full breakfast. Our prime location steps from Chicago's lakefront, you will enjoy unmatched access to the most exciting part of town. The James is ideally situated in downtown Chicago on the corner of Ontario and Rush streets, just steps from Michigan Avenue. In addition to its proximity to numerous dining, shopping and nightlife choices along the Magnificent Mile. The James is also within walking distance of cultural attractions including the Museum of Contemporary Art, the John Hancock Center, Millenium Park, the Historic Water Tower and Navy Pier. In The Heart Of The Loop. Welcome to that toddlin' town. Set in the middle of the famed Chicago Loop, W Chicago - City Center is close to the Willis Tower (Formerly the Sears Tower), the Chicago Art Institute, music at Millennium Park, and the theater district. Step out the Windy City surrounds you. Work, Play, Unwind. Our technology, creative cuisine and innovative spaces will help you make your meeting memorable and your event extraordinary. Work the body and unwork the mind at FIT, our 24/7 gym. Or indulge in an in-room shiatsu session. 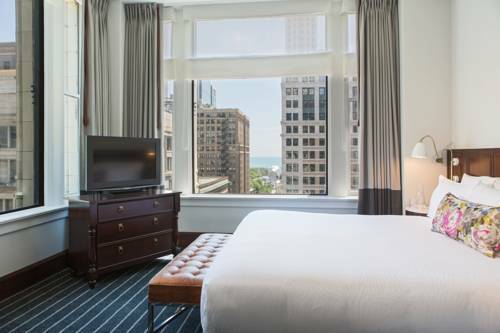 Retreat from the bustle of Chi-town into the serenity of our 403 guest rooms. Dive into the comfort of our signature pillowtop mattresses, 350-thread-count sheets and down comforters. Flagship of the Park Hyatt brand, offering a unique alternative to your traveler's current luxury options. 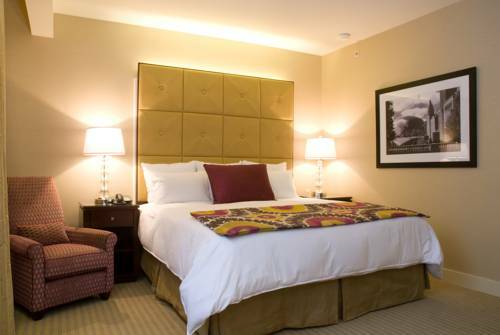 State of the art guest rooms featuring flat screen TV, high speed internet access. 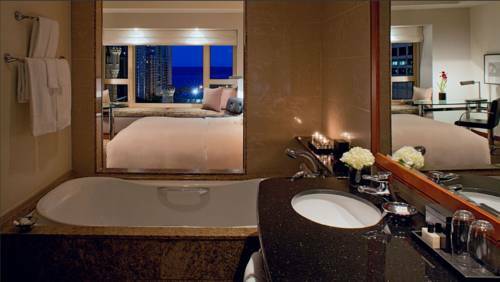 Luxury bathrooms with over-sized soaking bathtubs, dual vanities, separate shower stall and flat-screen TV. Complimentary clothes pressing and shoe shine, nightly turn-down amenity and twice daily maid service. Complimentary courtesy car for use w/i 2 miles of hotel for outbound transportation only. Ideally located on Michigan Avenue at Water Tower Square, perfect for fabulous shopping, dining and close to all that Chicago has to offer. 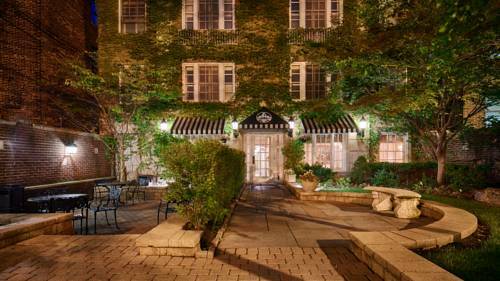 The Hotel Burnham is rich in architecture history and the sense of romance fills the lobby up to the guestrooms. Located in the heart of Chicago on historic State St. the Hotel Burnham projects an atmosphere of historical and whimsy decorated to the hotels theme of architecture. Dark finished mahogany wood rich colored leathers and silk drapery unite to recreate the mens club feel that once occupied this space. Tumbled stone flooring in the entry lobby compliment the restored stone floor used in the original lobby. Windows feature incredible views of downtown Chicago and are draped in handsome blue velvet and tie back panels with samplings of Mozarts symphonies. Swissotel Chicago rises above the point where the Chicago River meets Lake Michigan. From our downtown location, you will be poised for a short walk to popular destinations including the Loop financial district, and government center. Radiant daylight or city lights glimpse breathtaking sights throughout the hotel. Whether from the desk of a Corner Executive Suite, or our health club on the 42nd floor, our views simply dazzle. If the stunning 42nd floor Lake Michigan views do not set your pulse racing, your workout certainly will. Head up to the Penthouse Fitness Center for a circuit on our Precor cardio and strength-building equipment, which includes bicycles, treadmills and free weights. Wind down with a swim in our 45-foot heated indoor pool or a turn in the dry sauna or Jacuzzi. 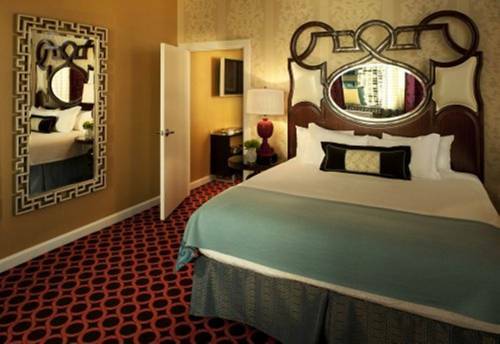 The Omni Chicago is the only all suite luxury hotel on Michigan Avenue. Located in the heart of the Magnificent Mile it is surrounded by world class shopping and exciting entertainment as well as museums and galleries. Our 347 suites are some of the most lavish in all of Chicago and combine modern amenities including high speed internet access and an executive work desk as well as a plasma television with the comforts of a large sitting area and wet bar. 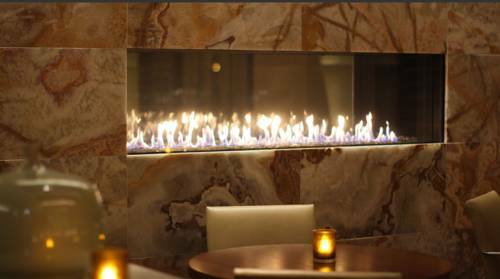 Guests can enjoy contemporary American cuisine or a relaxing drink at the 676 Restaurant and Bar. Nearby are some of the finest restaurants in the city. The hotel offers a state of the art fitness center and an indoor heated swimming pool plus sundeck. 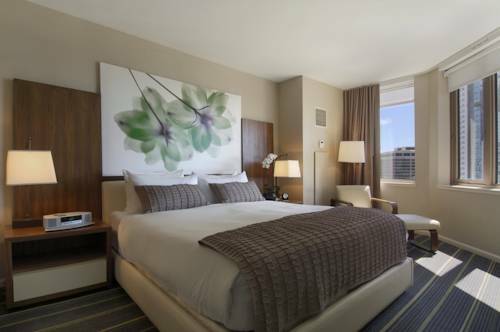 Rising above the Chicago River, Hyatt Regency Chicago lays adjacent to the Chicago Loop business district and the Magnificent Mile shopping and dining areas. This breathtaking hotel features 2,018 guestrooms including 119 suites, 337 new Deluxe rooms, and an exclusive Regency Club. This full service hotel offers an extensive business center, a complimentary fitness center, six food and beverage outlets, wireless Internet access in public areas, and convenient indoor access to all shops and services in Illinois Center. The famous Big Bar is a perfect place to relax and enjoy a cocktail without leaving the hotel. Stetson's Chophouse, located on the hotel's first floor, was voted one of the top ten steakhouses in the city by the Chicago Tribune.